Whether you’re just starting out or are ready to take things to the next level, you need capital to power your small business. And if you don’t have the money readily accessible, it’s likely you’ll need to take out a small business loan. But before you start to research what getting a small business loan entails, there are some key things to nail down. First on that list is figuring out exactly how you’ll use your influx of cash (closely followed by how you’ll pay it back). Without a strategic, targeted plan for how you’re going to put that money to work, it’s unlikely to help you move the needle. 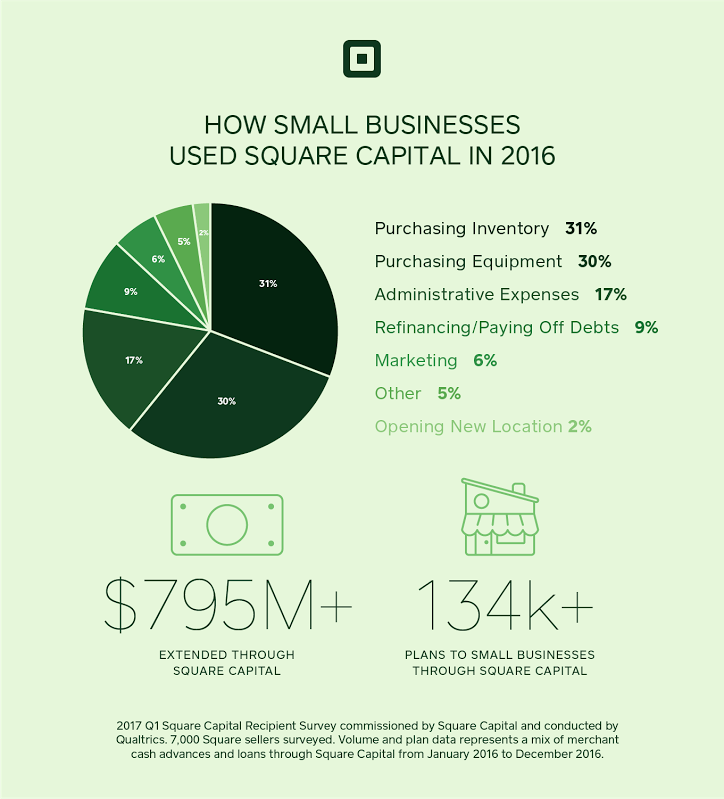 In 2016, we extended more than $795 million through more than 133,0001 plans to smart, growing small businesses through Square’s small business financing arm, Square Capital. The average size of a plan was around $6,000. At the beginning of 2017, we asked 7,000 sellers who accepted loans to tell us how they used their funding. Twenty percent of those sellers surveyed were first-time borrowers, while 80 percent had used Square Capital before. Of those sellers who were repeat borrowers, 66 percent used their subsequent plan to fund the same business purpose, while 34 percent used it to fund a new purpose. Many businesses — 31 percent — put Square Capital toward purchasing inventory. Among retailers, this number was even higher, with over 60 percent using their funds this way. Using funds to purchase inventory is a good way to manage seasonal dips, replenish stock, or try out new products. 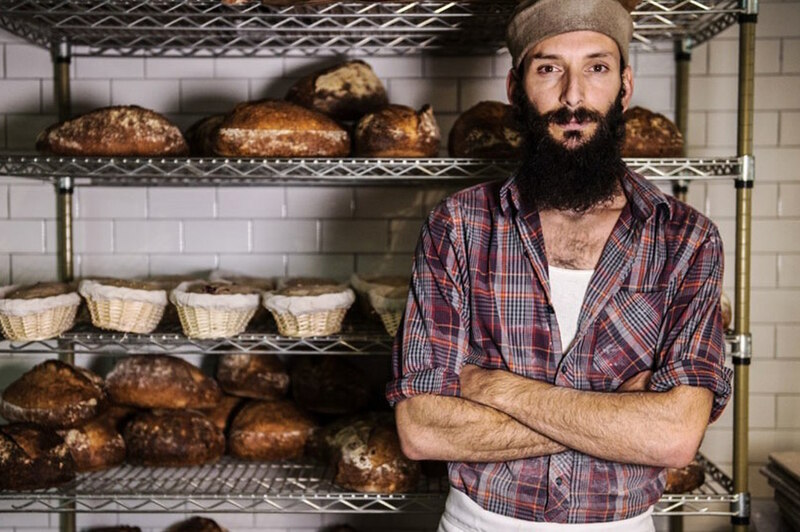 It’s common for small businesses to need a loan to fund those heavy-hitting purchases. The second-most popular way businesses use Square Capital is to make capital investments in equipment. Thirty percent of businesses use Square Capital funds this way. Keeping the lights on — and things running smoothly — requires both time and money. Seventeen percent of Square Capital recipients use their loan to help cover the expenses of their day-to-day operations. Consolidating debt can be a smart way to use small business financing. Nine percent of Square Capital recipients use their advance to help refinance or pay down other debts. To grow your business, it’s imperative to get new customers in the door and keep loyal customers, well, loyal. Whether it’s through social media, email, events, or more traditional paid media, marketing is one of the best ways to grow business. Six percent of businesses put their advances toward marketing. Having a game plan for how you’re going to spend your small business loan is crucial. Maybe one of the investments listed above makes the most sense for your business. Or maybe your business would benefit from adding new products, entering a new marketing, or opening a new location. Whatever it is, before you apply for (or accept) small business financing, make sure you’ve thought through the most strategic way to use it. 1 Represents a mix of merchant cash advances and loans through Square Capital from January 2016 to December 2016.